Helen Faye Bartlome Portela, 88, loving wife of Doyle LeRoy Portela, of Montpelier, Idaho, passed away surrounded by her family on Thursday, October 18, 2018 in Bear Lake Memorial Hospital. Helen was born on May 14, 1930 in Montpelier, Idaho. Her parents were Gottfred Bartlome Jr. and Lena Marie Sutter Bartlome. She was the fourth of eight children: Phyllis Smith Eborn, Frank Bartlome, Roy Bartlome, George Bartlome, James Bartlome, Gordon Bartlome, and Linda Aland. Helen grew up in Montpelier and attended and graduated from the local schools. Her and Doyle married on August 5, 1948, and were later sealed in the Idaho Falls Temple on June 6, 1950. They were blessed with five children: Joleen (Mark) Brimhall of Jacksonville, Florida; Stephen (Peggy) Portela of Montpelier, Idaho; Kathryn (Cliff) Price of Geneva, Idaho; Bruce (Gaylene) Portela of Clarkston, Michigan; and Stewart (Esther) Portela of Firth, Idaho. Her and Doyle have 14 grandchildren, 20 great-grandchildren, and 1 great-great-grandchild. As a young girl, one of Helen’s first jobs was delivering milk to neighbors. She could always be found playing outside with her brothers. She considered herself a tomboy and loved to do everything the boys did. During High School she worked at Kings and then the KitKat candy store next to the movie theatre. Her and Doyle spent many nights sneaking in to watch movies. Helen was a lifelong member of the Church of Jesus Christ of Latter Day Saints. She held numerous positions, which included President of the Young Women and Primary, various positions in the Relief Society, Visiting Teacher, and Ward Missionary with Doyle as her companion. In between raising a family, and volunteering at church and in the community, Helen spent many years in the office at Walton Feed, working alongside Doyle. She was PTA President of the Elementary School. 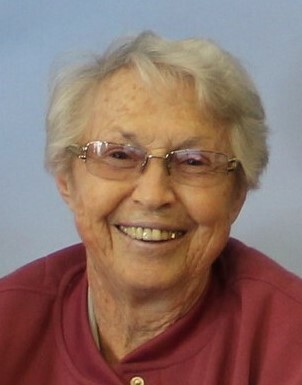 During this time, she was instrumental in gaining support for the Montpelier Golf Course. She and the rest of her family have enjoyed it over the years. When she turned 50 years old she discovered her talent for painting. She started with landscapes, sculpting, portraits, and abstracts. She loved learning new techniques to improve her painting, and would invite artists to teach at the Art Guild while she was president. She traveled and took classes in Logan and Pocatello. She spent many hours teaching all of her grandchildren to paint. Some of her other hobbies included pottery, bowling, volleyball, rock collecting (she has a rock from everywhere she has visited), and she loved swimming. Her and Doyle designed and built four homes in Montpelier. She loved planning the landscaping, especially all the trees! RVing and fishing were a huge part of her life. For many years they had season tickets to the National Rodeo in Las Vegas and the Utah Jazz. After Doyle retired, they began to winter in Apache Junction, Arizona. They enjoyed many bus trips with their new friends and visited Carlsbad Caverns, the International Balloon Festival in New Mexico, and, most importantly, their trip to The Price is Right. Helen was chosen as a contestant. And she won every game she played, even money on the big wheel and her showcase! She enjoyed spending time at Sam’s Town in Las Vegas and Star Valley Ranch RV Park in Thayne, Wyoming. Her and Doyle loved golfing in Thayne with their many friends that traveled with them. Her many attributes will live on in all her children and grandchildren. She instilled a sense of adventure in each of them by example. Her and Doyle traveled all over the United States sightseeing and visiting their children. They toured a volcano by helicopter in Hawaii, cruised and fished in Alaska, and parasailed in Cancun. Their adventures have taken them on a hot air balloon ride in Park City, Utah, white water rafting, and touring the Grand Canyon by helicopter. Her fearless soul lies within each member of her family. Family was very important to Helen. She wanted her grandchildren to know each other and have fun together. There have been many family trips, including Disney World; Las Vegas; Washington, D.C.; Palmyra; and summer reunions in Montpelier. In 2001 she took all her daughters to Dollywood. For many years Helen cared for her mother and father as they aged. Bessie Tarwater was one of their neighbors for whom she did many acts of service. We have all learned from her how to love and serve others. Helen was preceded in death by her parents, four siblings, and a grandson. She will be greatly missed by Doyle, her husband of 70 years, and all her family and friends. Helen puts the “FUN” in “FAMILY”. YA-YA! A special thank you to Dr. Campbell, April Matthews, all of her caregivers, Jackie and the staff of the Community Center, the staff of Bear Lake Memorial Hospital, and Bear Lake Manor. The funeral services will be held at 11 a.m., Saturday, October 27, 2018, at the Montpelier 2nd Ward Chapel of the Church of Jesus Christ of Latter Day Saints, 585 N. 8th Street. The family will visit with friends on Friday, October 26, from 6-7:30 p.m. at the Schwab-Matthews Mortuary, 702 Clay Street, Montpelier. A viewing will be held one hour prior to services. The interment will be at the Montpelier Cemetery.